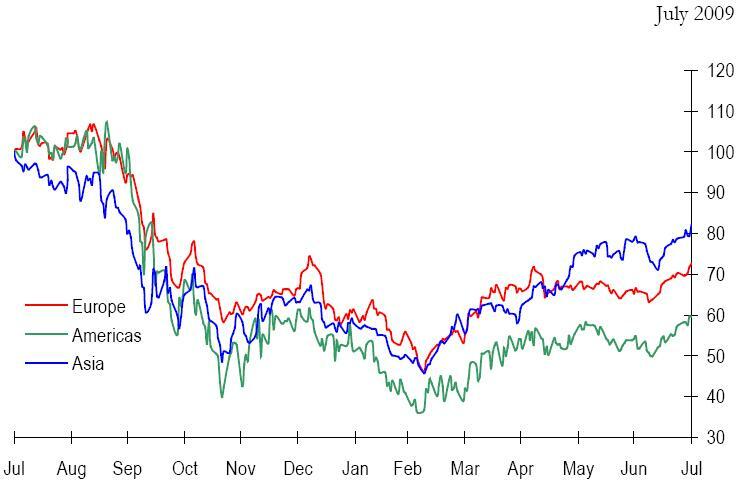 Allthough GPR (Global Property Research) attributes quite a positive influence to Summertime, as far as performance of propertystocks is concerned, I doubt whether the summer period has anything to do with it. Fact is, that the GPR 250 index gained 7.6% over the month of July, 2009, so markets were indeed ‘walking on sunshine’. Europe gained the most, topping other continents with 11.2%. Poland outperformed other European countries, with a 17.9% gain for the month. GPR may 2009 update is here. GPR apr 2009 update is here. GPR mar 2009 update is here. GPR feb 2009 update is here. Previous Poll: Are We Out of the Woods Yet?